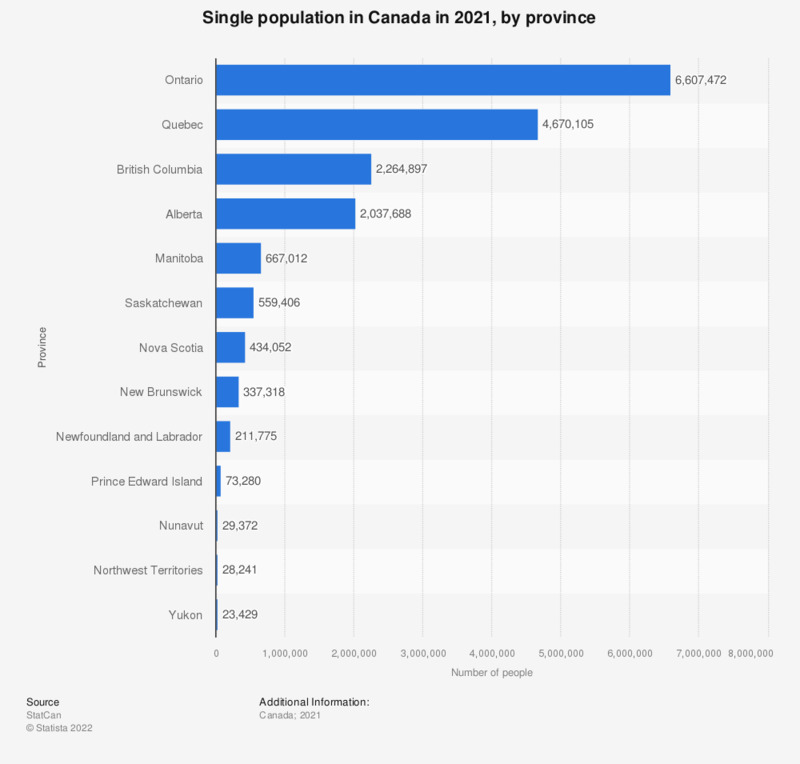 This statistic shows the total number of residents who have never married in Canada in 2017, distinguished by province. In 2017, about 6.13 million single people were living in Ontario. Data presented here is by 'legal marital status' including persons living in common law. Single includes persons who have never married (including all persons less than 15 years of age). Those who live with a common-law partner are also included in this category.